This interview was part of the June 28, 2017 edition of CoastLine. HB2, the North Carolina legislation that mandated bathroom use according to the gender on one's birth certificate, helped to stoke a mainstream national conversation about people who are transgender. We've also seen popular culture pick up the conversation with Amazon's production of a TV show starring Jeffrey Tambor called Transparent. We've watched a very public transition of Bruce Jenner to Caitlyn Jenner and we've seen the rise of transgender actress Laverne Cox on the hit Netflix series Orange is the New Black -- for which she was nominated for an Emmy Award. But outside of pop culture, artistic milieus or some social circles, that conversation is often relegated to the shadows. Today we're going to meet two people who are the parents of a child born a boy who started showing signs as a toddler that he wanted to be a girl. Now that statement alone is rife with ideas that need defining. And today we're going to set about doing just that. The parents that we're meeting today, Stephanie and Eric, are not using their real names. Because we're talking about a child, we've chosen to protect their identities. RLH: We know we're going to have people listening to this who say no child can make life decisions about what they want to be -- especially when they're a toddler. That's part of the point of having parents -- adults who can guide children. So why are you letting this undeveloped little human being make such big life decisions. Stephanie? Stephanie: That's a really good question and one we get a lot. There are several reasons medical professionals that we have consulted with have told us that even if it was a phase you would treat her the same way. And they emphasize the importance of accepting her and letting her be who she wants to be on an emotional level. 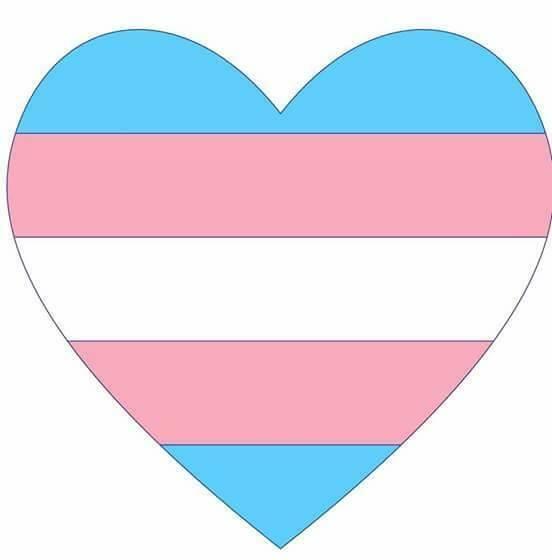 Since the rates of suicide are so high -- 40 percent for transgender individuals -- I don't want to worry about a child that's going to mutilate their body or be depressed as they grow up. RLH: At what point, Stephanie and Eric, will you have to make a decision about taking physical steps to stop her from developing male traits in puberty? Stephanie: Well, we have already been to see a pediatric endocrinologist which is the type of doctor you would go to when you want to suppress puberty and then eventually start hormones. The benefit to this I think a lot of people don't understand is that this would help her so much as an adult because she won't have to do surgeries to alter her body. RLH: Eric, you use the term "repressive household" For folks who, if they had been in your shoes and had a little boy who was saying, “Mommy and Daddy I want to wear dresses,” they would say, "but you're a boy. And that's not what boys do. And so here is a Tonka truck. And here are your jeans and there might be some tantrums but we're going to force those jeans on your little body.” What do you see the downside being for that child? RLH: Is it possible they'll change what they want? Is it possible they'll come to like the boy things? Eric: I'm sure there are some [who do] because it's a spectrum and there's some people that are more gender fluid. But you know, if they are truly more identifying with one gender than another, then it's not going to happen. I mean we can see that, especially with Caitlyn Jenner. It can be a lifetime of struggle. RLH: Right now she is in school. Do you conceal it? Who knows about this? How does she deal with it? Has she told people? It's hard for kids to keep secrets. Eric: What's in your pants…. Stephanie: What's in my daughter's pants.